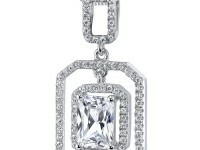 Gemstones: White Cubic Zirconia: 7 pieces, Round Shape 3 mm. 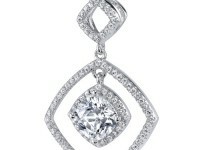 White Cubic Zirconia: 108 pieces, Round Shape 1.75 mm. 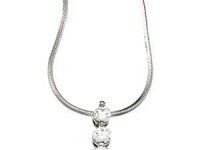 Rolo Style Chain, 20 to 22 inch adjustable length, 1 inch width. 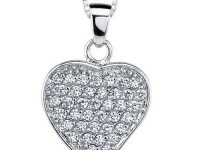 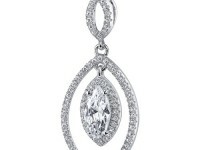 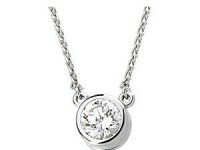 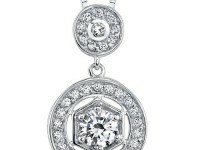 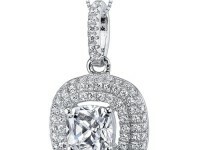 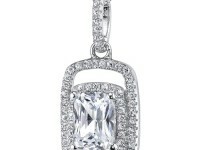 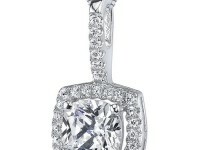 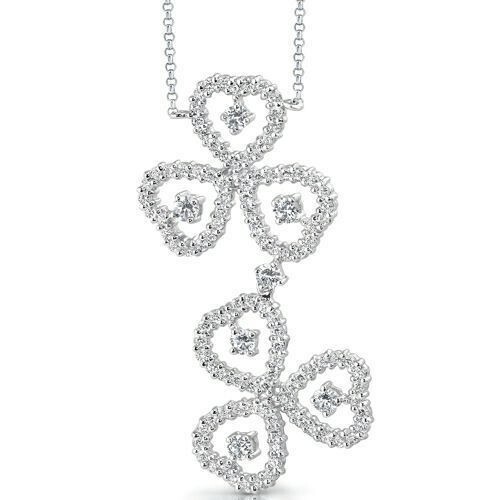 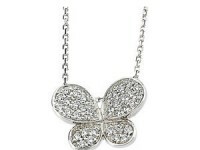 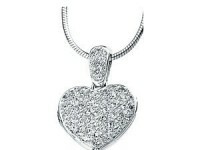 Necklace features one of a kind design with a White Gold finish.